Apparently they've already hired a caterer. Prince Harry's wedding to Meghan Markle is still months away, but we're already obsessing over all the royal details. Here's what we know so far about what food will be served at their reception. On January 2, The Telegraph suggested that the royal couple had hired catering firm Table Talk for their big day. While the news is unconfirmed—Kensington Palace declined to comment one way or the other—it's a fairly good guess. Not only did the London-based company cater Will and Kate's wedding reception in 2011, but they also worked Pippa Middleton's wedding in May of 2017. Food and Wine also reports that executive chef Ebbi Buchmann has cooked for several Prime Ministers. Unlike American weddings, which more often than not take place in the late afternoon or evening and are followed by dinner and dancing, it's tradition for royal weddings to take place earlier in the day. In the Duke and Duchess of Cambridge's case, the ceremony was then followed by a wedding breakfast, a luncheon held by the Queen, and later, a more intimate evening reception featuring a sit-down dinner. Guests at Will and Kate's wedding were treated to a three-course menu of salmon, lamb, and a trio of desserts: Berkshire honey ice cream, sherry trifle, and chocolate parfait. While the exact wedding menu for each of those events is most certainly under wraps, Meghan is a self-proclaimed "foodie," so flavorless fare is off the table. Given that Meghan used to run a blog called The Tig, named after the full-bodied Tuscan red Tignanello, it's fair to assume wine will be in no short supply at her wedding to Prince Harry. 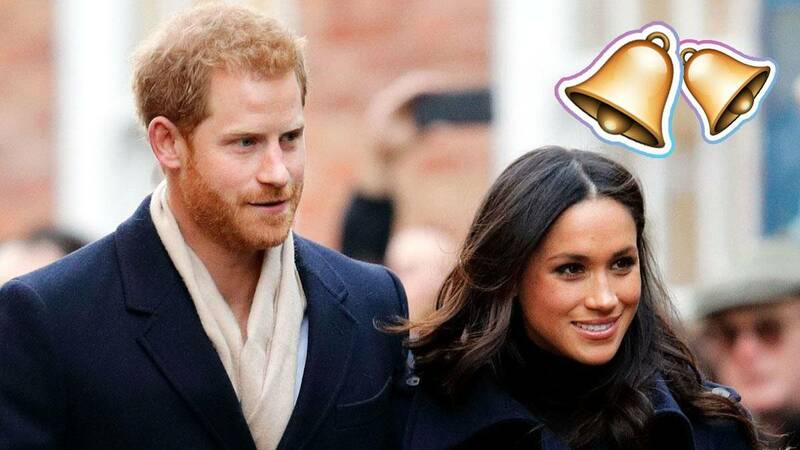 Per anonymous sources (so take this with a grain of salt), Meghan and Harry will have a banana cake at their wedding, departing from the royal norm of having what Americans might consider a Christmas-style fruitcake. "This will be the first royal wedding cake made from bananas," reported The Telegraph back in December. Apparently the fruit holds a special significance to Meghan and Harry's relationship. The royal family will pick up the tab for the wedding meal. A statement released by Kensington Palace following Meghan and Harry's engagement reads, "As was the case with the wedding of The Duke and Duchess of Cambridge, The Royal Family will pay for the core aspects of the wedding, such as the church service, the associated music, flowers, decorations, and the reception afterwards." This article originally appeared on TownandCountrymag.com. Minor edits have been made by the Cosmo.ph editors.